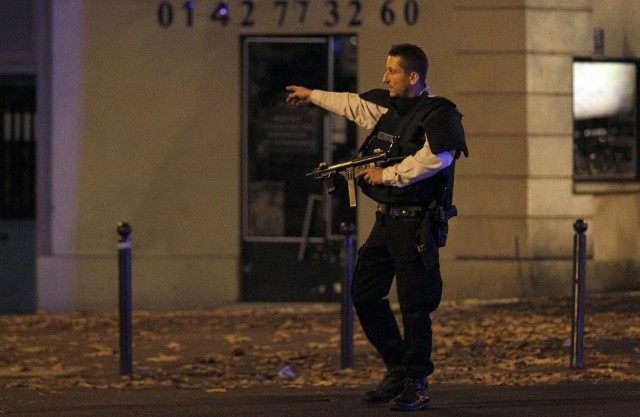 Obama condemns terrorist attacks in Paris as ‘Attack on all of Humanity’. Completely fails to reference Islamic terrorism. A horrific attack in France killed at least 150 people, the largest killing of Europeans since World War 2. At this moment 7 of the terrorists have been killed with more on the loose. President Obama addressed the American people regarding this act of terrorism and in predicable Obama fashion, completely failed to mention Islamic terrorism. The Obama legacy will include a number of pathetic points of fact with his inability to tell the truth at the top of the list. To say he is a disgrace to this great country is an understatement. President Barack Obama delivered a statement reacting to the terrorist attacks in Paris calling it an outrageous attempt to terrorize innocent civilians and an attack on all of humanity and the universal values we share. He offered support to the French people, reminding Americans of the long standing alliance that the United States had with the country. We want to be very clear that we stand together with them in the fight against terrorism and extremism,” he said. He also lamented the fact that the attack occurred in Paris, reminding Americans that the city represents the timeless values of human progress. The American people draw strength from the French people’s commitment to life, liberty and pursuit of happiness, he said. We are reminded in this time of tragedy that the bonds of Libert, galit, and fraternit are not only values that the French people care so deeply about, but they are the values that we share.